I hate shopping in general. The whole physical process of going out among other shoppers to look for something I might or might not buy is such a pain I would rather have another root canal … while giving birth. I hate shopping for major appliances especially, but they are necessary. My husband will ask me what kind of dishwasher or oven I want and I give him a blank, deer in the headlights stare. We have discussed before on this blog how I was not born with 100% of my female genes and so the shopping and decorating thing just skips over me. Alas, with my big and messy family, things like a washing machine, a dryer, a vacuum cleaner are all necessities to keep things clean. Comparison shopping is a pain! I hate perusing site after site to figure out the best price and best ratings. I really have to check something like a vacuum cleaner out online before I buy because the kids help do chores now. That means the vacuum goes BUMP BONK BANG up and down the stairs and vacuums up Lord knows what, like Perler (iron on) beads, various LEGO pieces and STRING. I don’t know if you know this, but vacuum cleaners LOVE string. Not. So I need an online site what helps a girl out by saving her some time. I need a site that has done all that work for me! 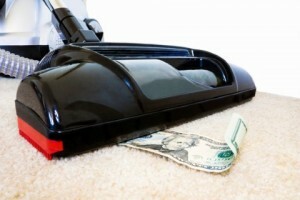 This article makes it a little easier to choose from the wide variety of vacuums out there. I hope you find it helpful and that it keeps you from pulling your hair out before shopping. This is the part where Household Appliance Judge comes in! For vacuums specifically, they even help me out by giving tips on handheld vacuums (yes, please, since things find themselves in crevices all over the house), vacuums under $200 (yes, please, since our grocery budget now matches our monthly mortgage), and best for Berber carpet (which is, why oh why oh why?, what we have had in our kitchen for 15 years!). All this is to say I need a vacuum cleaner than can work with our hard-wood living room, Berber kitchen, shag-ish upstairs and I-have-no-clue-what-it-is family room downstairs. It even talks about the best car vacuums, which I desperately need, especially since I got the huge van. I need to know which one has the longest cord, for one thing! Mr. Kerrie is always getting on me about letting the kids eat in the van but when you feel like you live in it and your kids are growing like weeds, you do the culinary math! Conversely, I also need to know which vacuum cleaner can best make a ponytail, like we did with one of our kids here. This means it will need some killer attachments. Check it out and you could save a lot of time, which is something we can all appreciate! I’m heading there now since our vacuum is getting pretty old and it’s about time to replace it! Wish me luck!